Bill Murray is simply the best of the SNL bunch that migrated from 30 Rock to Sunset and Vine. Most often, Murray plays himself, or to say it another way, the character he crafted Saturday nights on NBC. One of my favorite films with Bill as the lead is Jim Jarmusch’s Broken Flowers. No one else on the planet could come close to playing that movie character as well as Murray did. Could be, though, that screenwriters and directors are starting to rely too much on the fine talent that inhabits that ghostbustin’/groundhoggy guy we all know and love. 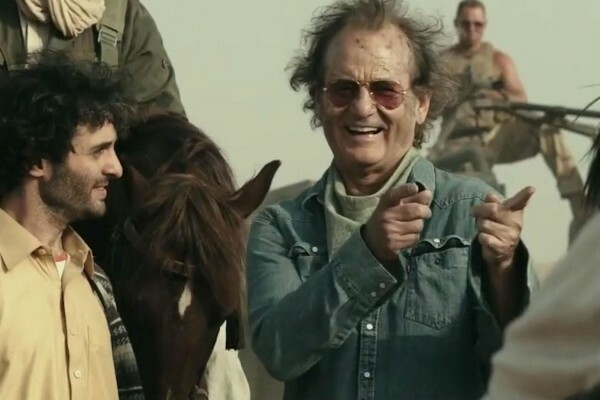 Director Barry Levinson and scriptwriter Mitch Glazer have spread Murray thinly over an uneven, longish script that – having read the treatment for it prior to the screenplay’s completion – screams: Rock the Kasbah is bound to be a hoot! Murray is the hoot. Rock the Kasbah … not so much. Richie gets Ronnie a singing bar gig one evening, during which he just happens to chat it up a bit with a whiskey-swilling guy who books USO music tours in Afghanistan. Such a deal, so long as you don’t pay any mind to the fact that Richie and Ronnie will be doing the tour just for their country. Ronnie is rather rocky about touring Afghanistan. After the pair touchdown at the Kabul airport, she’s freaked about the chaos unfolding around them. But Richie seems amazingly unflappable about it all; or that he’s so adept at keeping himself in a state of deep denial — like any U.S. congressman who still disavows climate change — the violence doesn’t unsettle him. Next chapter of Rock the Kasbah might be: The Meeting of the Contractors, even though it’s not; contractors like Nick (Danny McBride), Jake (Scott Caan) and Bombay Brian (Bruce Willis). Nick and Jack have been known to sell ammunition to feuding factions in Afghanistan and Bombay Brian is good at getting anyone around the Afghan wasteland without a person being killed. Brian is also the guy who handles Ronnie’s sudden circumstance of not being in-country, leaving Rickie with neither money nor passport. The “milk” splashes quickly and Richie and his sidekicks land in big trouble. It’s during this series of difficult events that Richie discovers — as he claims he did Madonna — a lovely, young Pashtun woman singing beautifully in the night, alone in her own private, barren cave. Richie is a negotiator and a manager of great music talent! This is an opportunity to regain his show biz success. Rickie knows he is a man of destiny. The striking girl, named Salima (Leem Lubany) is, as you might guess, the daughter of a devout daddy whose morality would allow him to kill her in the wink of an eye if she ever sang in public, and definitely if she ever warbled so much as a note on television, particularly on a TV show for infidels that has great ratings and called Afghan Star. 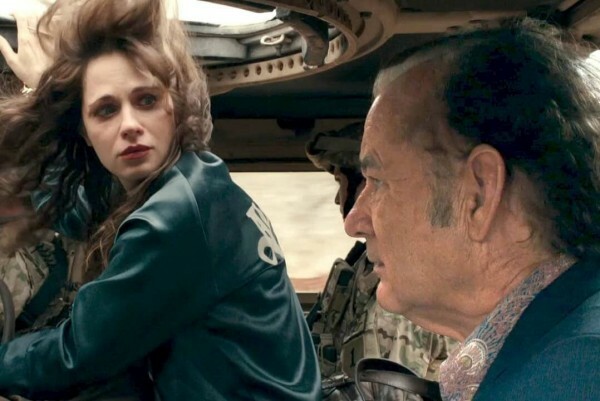 SPOILER ALERT: This review does hold a subtle hint as to how parts of Rock the Kasbah conclude, but keep it to yourself. Do Republicans Really Want to Win Back the White House?